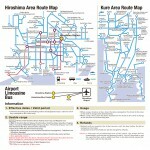 *JR trains are not included. 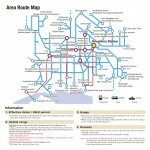 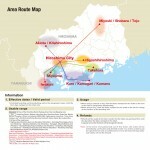 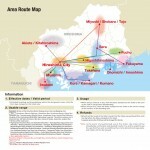 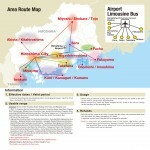 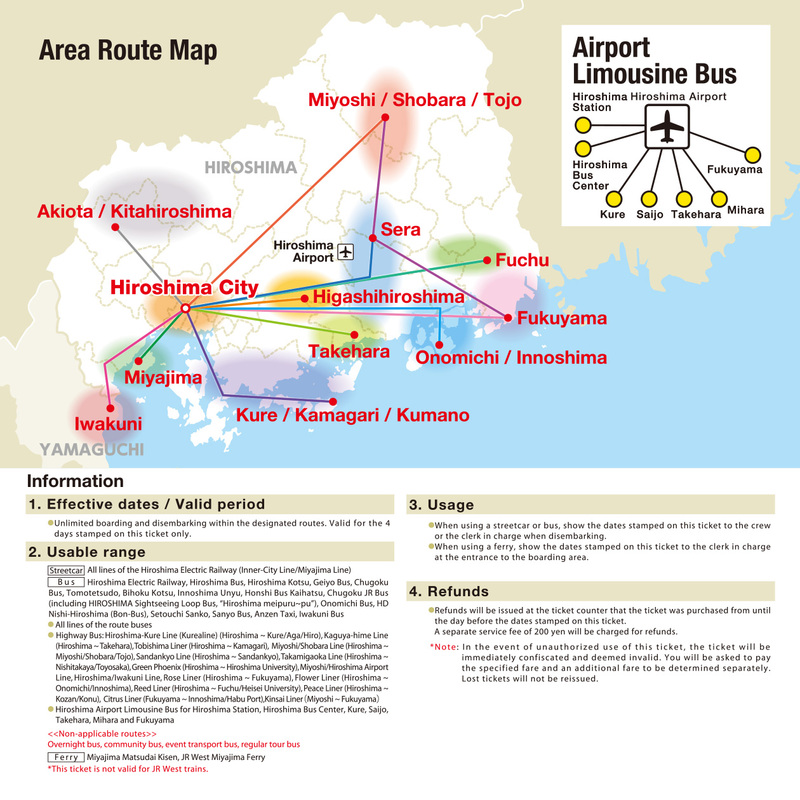 Unlimited boarding and disembarking within the designated routes. 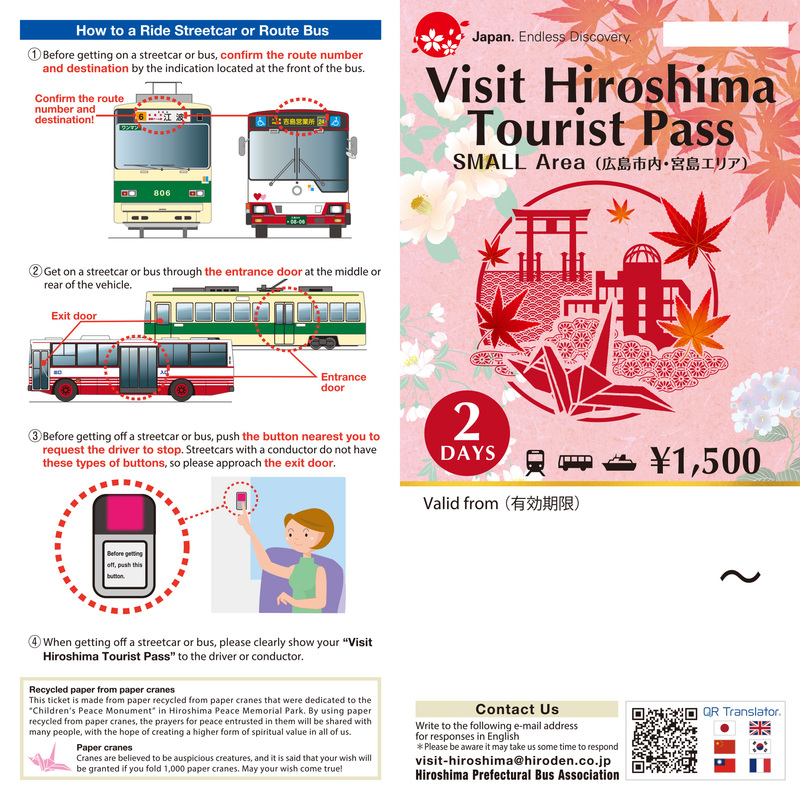 Valid for the period stamped on this ticket only. 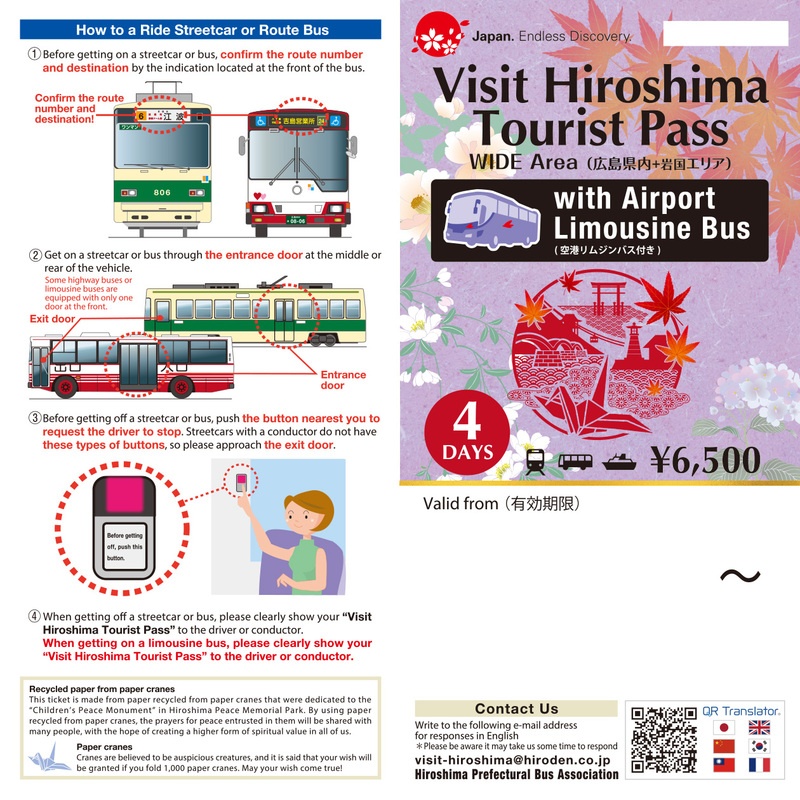 When using a streetcar or bus, show the dates stamped on this ticket to the crew or the clerk in charge when disembarking. 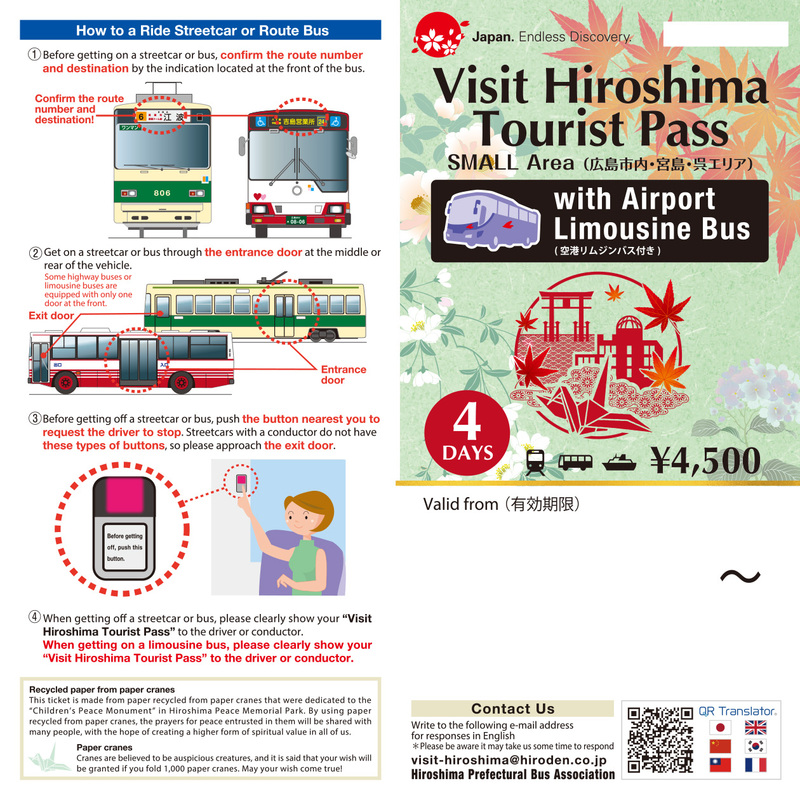 When using ferry, show the dates stamped on this ticket to the clerk in charge at the entrance to the boarding area. 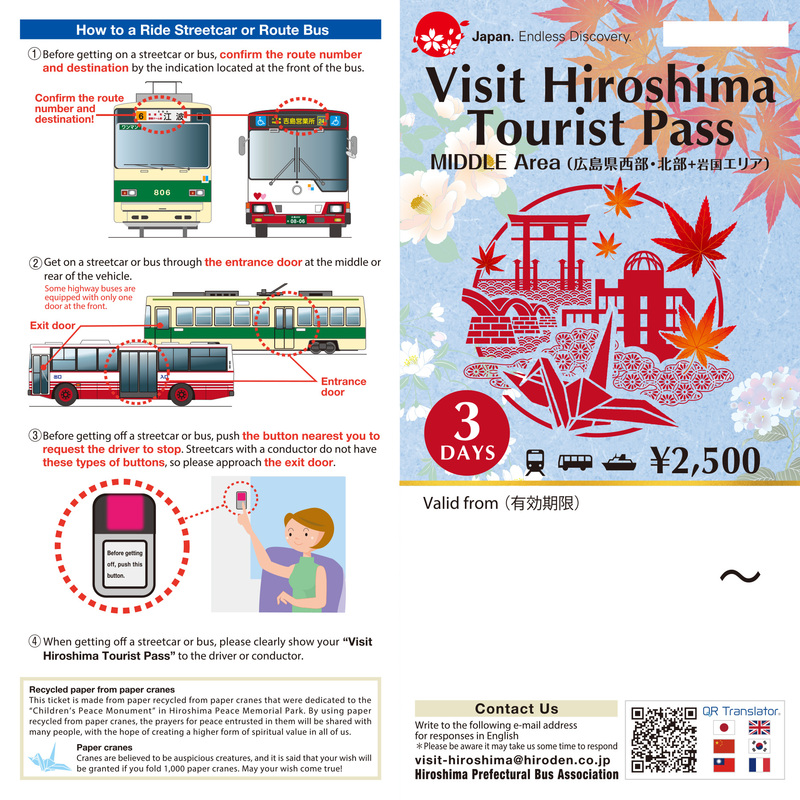 *When purchasing or picking up your pass, show passport to verify that you are a traveler visiting Japan. 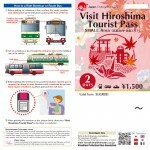 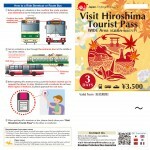 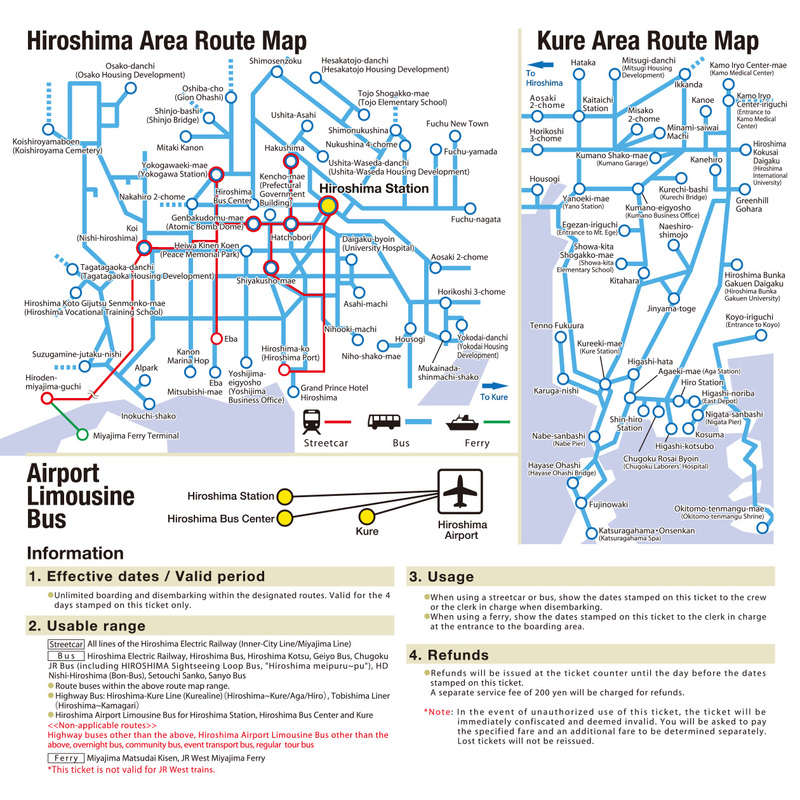 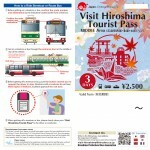 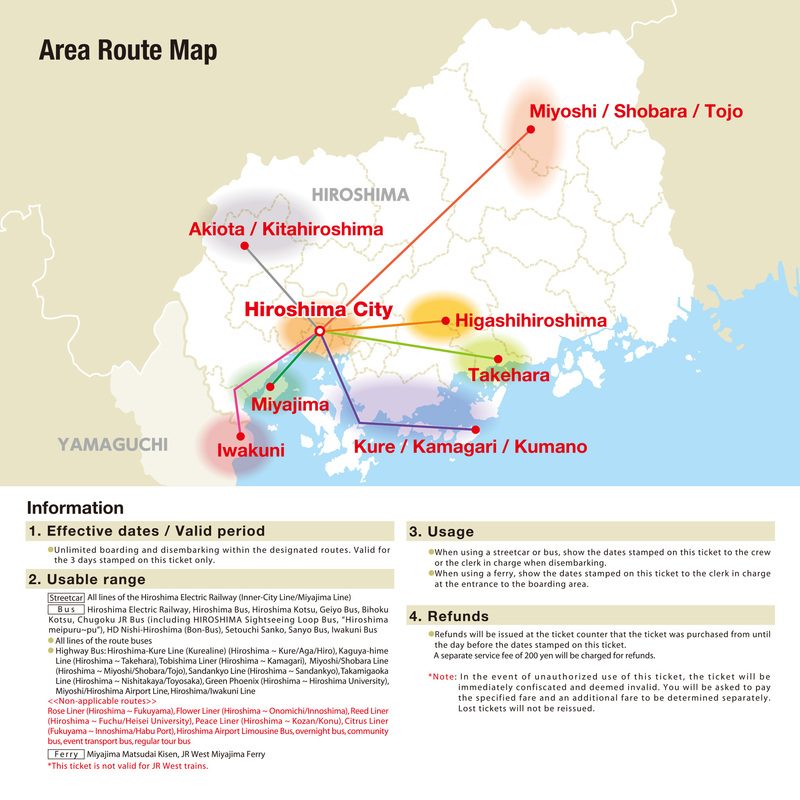 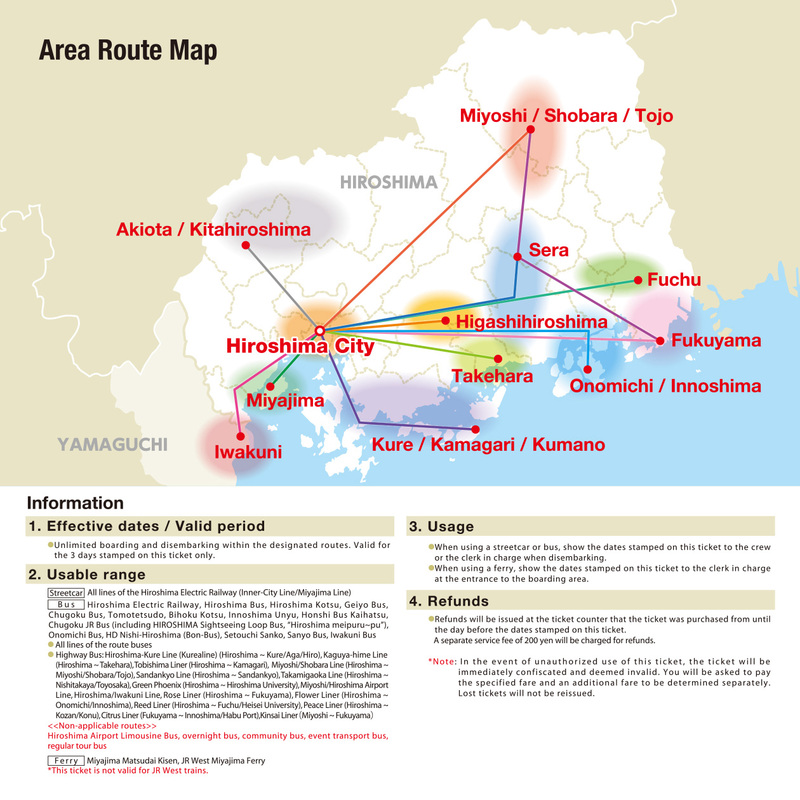 Receive a guide book (Visit Hiroshima Tourist Pass COUPON BOOK) featuring discount coupons for restaurants in Hiroshima and Iwakuni and discount bonuses for sightseeing facilities. 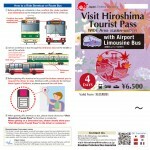 Copyright 2019 Hiroshima Bus Association All Rights Reserved.